Hello! I’m Kristine—a professional photographer, artist, and storyteller. I’ve captured the joyful events of people’s lives for seven years now, creating experiences in front of the camera that are stress-free, fun, and authentic. 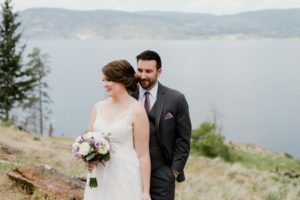 Based in the Okanagan Valley of British Columbia, my clients have an endless selection of charming orchards, exclusive wineries, and secluded beaches to choose from as the backdrop to their wedding pictures and family portraits. Kelowna and its surrounding communities offer some of BC’s most magical wedding destinations! Engagement photos are a fun way for us to get to know each other before your big day, and the session helps couples get comfortable in front of the camera. It’s also good to choose shots or angles you like or don’t want, ensuring we capture the favourites on your wedding day. Engagement photos are a gorgeous addition to your wedding website and also help solidify your wedding branding! Wedding photos make your big day timeless. I’ll capture every detail—and, of course, only the good sides of you and your loved ones—while you enjoy one of the best days of your life. Fifty years from now, you’ll look back at the love, laughter, and joy forever reflected in your wedding day photos. I work with families to capture the character and authenticity of their family story by creating a fun, stress-free atmosphere. I work to calm nerves in front of the camera and connect with the people I'm photographing. Whether it’s maternity shots, newborn photography, or family portraits—you get natural, candid images that tell a story of lives well-lived. I recently hired Kristine for my engagement photos at Quails’ Gate Winery. Our experience was amazing! She worked with me to be certain we would capture the perfect moment, while being discrete to ensure we didn’t tip off my to-be fiance. She is great at communicating, easy to work with, and captured some beautiful photos. Could not speak more highly of her service – would highly recommend her business! Choosing your wedding photographer can be very overwhelming. 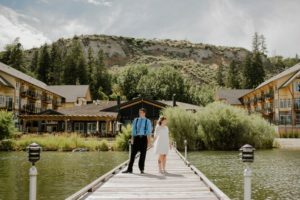 I picked Kristine to do my wedding based on the information I got on Google (her website and online reviews) it just felt right to choose her amongst the gazillions of other options online and recommendations.. and I’m glad I did! I’m more than happy with the over all experience of working with her from the engagement to the wedding. She was very easy and fun to work with and she made us feel comfortable smiling and posing on the camera for hours. The pictures were all beautiful. Wonderful moments captured and I’ll forever treasure! Highly recommended! Kristine was our photographer for our wedding and she was amazing! She was so fun and easy to work with. She fit in with everyone on the day of and was such a joy to have around! She made everything so fun and the photos turned out soooo great! She was very easy to communicate with and responded right away. I would highly recommend her to anyone looking for a photographer. If I could give more than 5 stars, I would! Kristine was such a pleasure to work with during this very exciting milestone of ours! She captured the most beautiful photos during our engagement session and our photos from our wedding…we are going to need a much bigger photo album because they are all so incredible! Not only is Kristine extremely talented, she is such a joy to work with. She is so friendly and has such a warm personality. Even though we are from out of town, we would definitely consider using her again for future milestones. Kristine did both our engagement photos and our wedding photos and they both turned out amazing! She made the whole experience run smoothly and provided us our stunning photos in a very timely manner! Thank you so much! We highly recommend Kreative Beginnings Photography! I am so glad you stopped by! I would love to meet you and chat more about your wedding or special moment you want captured.